I had the old SkyEye fpv glider I have since crashed and used the parts in other planes. Now the engine from that plane has gone through another crash. So I'm now looking for propeller shaft. I was looking at things like the NTM Accessory Pack for 63 Series Motors. 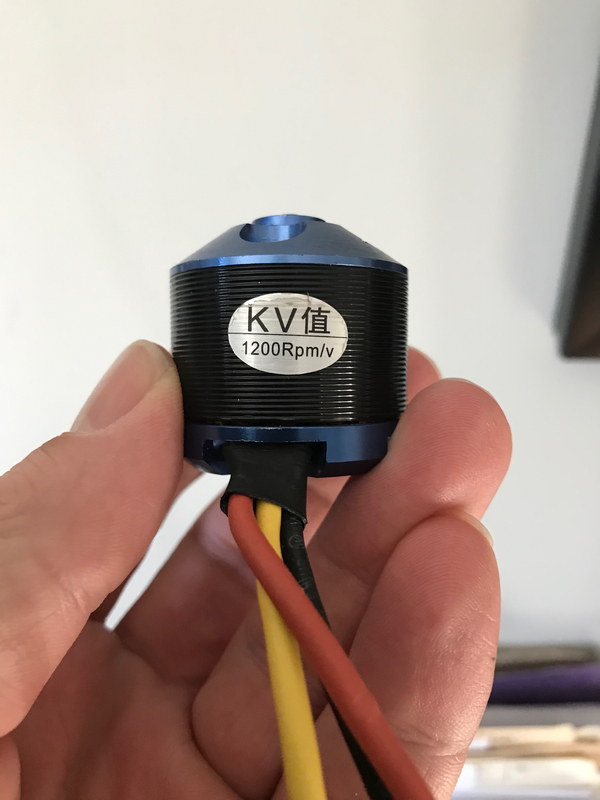 The problem is that I don't know what size the motor is to know what accessory pack to get. The only markings is KV followed by a Cantonese word and below it 1200Rpm/v. See attached image. Sorry for double post. please delete.